Ancient Greece Thebes was city-state in the bronze age of the Mycenaean era. It was an important city-state and has references in Greek history as well as mythology. 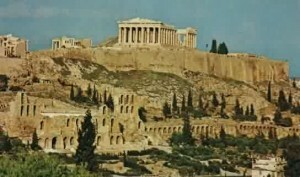 It was not as big as Athens or Sparta but it has an equally significant history if we look back at Ancient Greece. There are different stories in Greek mythology which mostly come from Athenians. One of the more regularly heard stories about Thebes is that Oedipus used to live in Thebes with his sister-wife Jocasta. Another story about Thebes is that it was this place where Dionysos drove Pentheus mad and Medea killed her children. There are several other mythological stories about this place, most of them iterated by the Athenians. A question arises, why did Athenians say such things? Were these incidents true? A fact remains that the Athenians used to hate the Thebans and such sad and scary stories are a result of it. 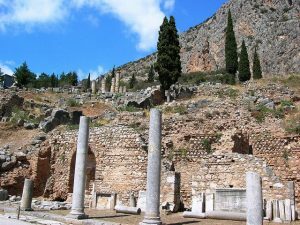 Ancient Greece Thebes was actually a city-state in Ancient Greece a little North to Athens. It was a farming city-state ruled by an oligarchy. This means that land in Thebes was owned only by a few rich people. Athens and Thebes got into a war on an issue of land between these two city-states. During the second Persian war, the Thebans surrendered to the Persians while in the war at Plate, the Thebans sided with the Persians against other Greek city-states. Greece won this war and hence Thebes was hated by many Greek city-states since then. Thebes joined the Sparta forces against the Athens in the Peloponnesian War. In this war, Thebes turned out to be on the victorious side but they were not rewarded for it by the Spartans. As a result of this issue, the Sparta-Thebes alliance was broken. Later in 379 BC, Thebes turned to a democratic government. They fought a huge battle with Sparta and won it in 371 BC. During this period the Thebes forces were one of the strongest in entire Greece. Times of Thebes and its people changed when the Macedonians invaded Greece. Alexander the Great destroyed the Thebes in 335 BC just to show his power to other Greek city-states which would have otherwise revolted against him. He sold all the people of Thebes into slavery.Such was the rise and fall of the ancient city-state of Thebes.